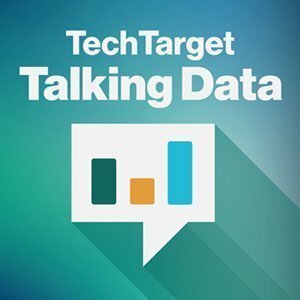 The Talking Data podcast team discusses some of the MIT startups that are making advances in AI and natural language processing. Connecting MIT-bred startups with the industry, the MIT Startup Exchange program is a force for technological advancements and innovation. Founded about four years ago, the program maintains a database of more than 1,600 connected startups and some 250 corporations. Each startup was either founded by an MIT faculty member, student or alumna, or uses MIT-licensed technology. These startups develop and sell a wide range of technologies that the startups implement. One of the emerging trends in the program is more startups working on AI, according to program director Marcus Dahllöf. Only about 70 of the MIT Startup Exchange companies are involved with AI now, but that could change in the coming years, Dahllöf said. Data is being produced in mass quantity and being stored in mass quantity, but the problem is, what do we do with it now? As for AI, "we're at a sweet spot now," he said. "Data is being produced in mass quantity and being stored in mass quantity, but the problem is, what do we do with it now?" The answer, perhaps, is in AI technologies. At the recent Forrester 2018 New Tech & Innovation Forum held in July in Boston, Dahllöf showcased four startups that use AI technologies, including machine learning and natural language processing. All part of STEX25, a group of 25 of the most industry-ready startups out of the MIT Startup Exchange, the leaders of Feature Labs, Humatics, Gamalon, and Legit took to the stage to highlight their startups. In this Talking Data podcast, Mark Labbe, news writer for SearchBusinessAnalytics, and Jack Vaughan, senior news writer for SearchDataManagement, dive into a discussion about the technologies the exchange spinoffs are working to develop and the potential use cases for them. Labbe and Vaughan talk about advances in AI, particularly in natural language processing, noting that IBM's recently showcased Project Debater is one of the innovative ways these technologies are being used. What AI- or NLP-oriented startups are you interested in or have you noted developing particularly promising technologies?